Earlier this week I was lucky enough to join the Leap Day fun hosted in London by @dougshaw1. As well as being a great way to spend the day together, it was an opportunity to explore, discuss and practice how we might bring work and art closer together, for mutual benefit. I came a little late to the party but experienced a wonderful hands-on tutorial on painting in watercolours from @VandyMassey . You can see more of her talent here www.vandymassey.com . Now I’ve not painted anything more than a few walls and kids’ Airfix models over the last 25 years. Yet, I really enjoyed trying out watercolours and even managed to paint something recognisable! 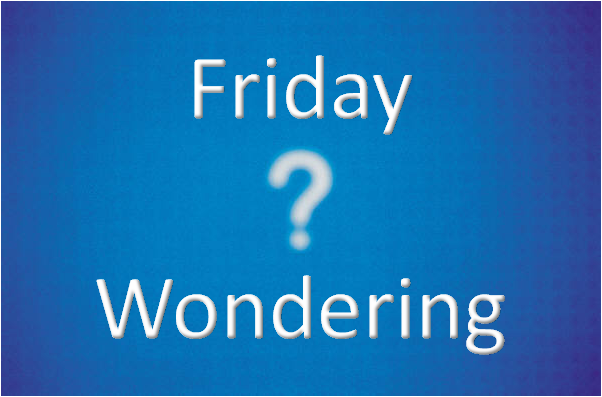 So that is my #FridayWondering for this week…. Why for all the learning & development opportunities pursued in the workplace, is art not more commonplace? Thanks for posing the question David. I found the day useful and lots of fun.To try and answer your question I think art and business are not closer simply because they've not tried to get to know each other very well before now.Something you missed and which struck a chord for me…Before you arrived we had a speed coaching session. Everyone drew in pencil for two minutes then received a one minute coaching session from their neighbour. This was simply a chance for the coach to ask questions about the drawing, no judgement was passed. Then we were asked to draw for a further two minutes, either to enhance the drawing, or draw again. The results I saw were very impressive and left me thinking how powerful a coaching culture can be in the workplace. I've used similar techniques and I think this was the best example I've seen of this kind of intervention. It was quick and very effective.One of the things that resounded through the day was a sense of enjoyment and achievement, for me the day was useful in linking progress and fun. I practice and play with art with clients and it seems to be very beneficial. I think and hope that as we increasingly witness happy people doing happy work, this kind of stimulus will become not only more visible, but actively encouraged. I think Doug makes a good point here. Businesses and 'fun' generally don't mix. 'Fun' isn't seen to be an effective way to make things happen.On some courses, I make particular use of having fun. It's a useful way to help make a point and illustrate learnings in a very easy to understand way, and people can relate immediately.On Feedback training, I get the group to draw a pig, on Coaching training I get them to make a paper airplane, and in splitting large groups I get them to play a version of 'bingo'. Not art per se, but fun activities that are useful.Similarly, in an old company, on team away days, we would spend at least an hour or two, getting the group to be creative. This change in focus helps keep them positive, and open to conversations, as opposed to feeling like they are being put upon. I enjoyed the LeapDay event too.The comments here are making me thing about an upcoming session feeding back about an internal survey. Traditionally the "town hall" session is low on engagement. Breaking the ice with a two minute "draw your neighbour" session with two minutes of feedback would be a great thing to try.